When you are considering what type of business to select, consider how each business type pays income taxes. For each business type, the owner taxation is different. Forms for each type of business are listed below and the process for filing is explained. 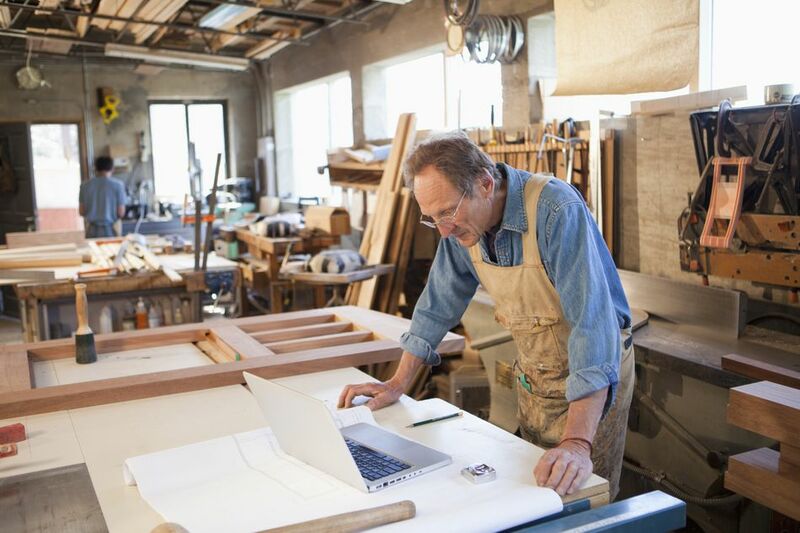 A sole proprietorship is the simplest form of business in the U.S. If you are self-employed or you are an independent contractor, you are a sole proprietor, unless you have chosen to register as another form of business entity. Sole proprietorships complete a Schedule C to determine the tax owed by the business. The income from the Schedule C is transferred to the owner's personal tax return and paid at the owner's personal tax rate. Partnership businesses do not pay income tax directly; instead, the partners are taxed on their share of the income of the partnership. The partnership income (or loss) is calculated on Form 1065, and the individual partners receive a Schedule K-1 showing that partner's share of the income of the partnership. The Schedule K-1 is included in the owner's personal tax return and paid at the owner's personal tax rate. A limited liability company is not recognized by the Internal Revenue Service as a taxing entity, so LLC's are taxed as other business entities, depending on how many owners (members) the business has. A single-member LLC files taxes os a sole proprietorship, using Schedule C. As with a sole proprietorship, the income of the business is transferred to the owner's personal tax return. A multiple-member LLC files taxes as a partnership, with individual member shares reported on Schedule K-1, as described above. As a separate entity, a corporation pays income tax at the corporate tax rate. The owners of the corporation are shareholders, and they receive income from dividends, on which they pay taxes at the dividend rate. Some shareholders may also be executive employees of the corporation. These employees receive a salary and they are taxed as other employees. A corporation reports and files its taxes on Form 1120. An S corporation is a type of corporation which pays taxes at the personal tax rate of the owner. The tax paid by the owners/shareholders is determined by the total amount of the tax owed by the S corporation. This total is divided among the shareholders based on their percentage of ownership. The corporation files a tax return using Form 1120-S and individual owner shares are reported on Schedule K-1. Just to confuse the issue, one business can own another business. For example, a corporation can own all or part of an LLC. One LLC can own another LLC. If the company being taxed is a pass-through business (that is the tax is passed through to the owners), the owners pay the taxes. For example, if an LLC (a pass-through business) is owned by a corporation, the tax for the LLC is calculated and the tax is reported by the corporation. If the business is a corporation, the corporation itself pays the tax; the owners don't.